Cominar is proud of the new partnership between Rockland and celebrities Maripier Morin and Brandon Prust. They will be the ambassadors for the shopping centre’s upcoming campaigns. This partnership is a remarkable achievement for our marketing team. Their creativity and approach enables them to showcase our property far beyond Montréal. Cominar Announces the Marilou Design Tour! 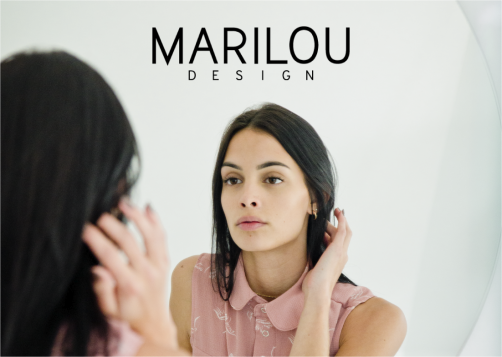 We are thrilled to announce that the exclusive tour of the Québec-based online company, Marilou Design, in several of our shopping centres. Marilou Design features local fashions that are both accessible and durable that transcend the notion of apparel. The styles are well-thought-out, trendy, encourage smarter shopping, and reflect the true needs of women. The fabrics are carefully selected to maximize comfort. What’s more Marilou Design are entirely designed and made in Québec. During each stop at our shopping centres, designer Marie-Lou Boucher will be on hand to present her creations and meet with her customers. We are proud to encourage local entrepreneurs and give our clients the opportunity to discover emerging brands on the web. Make sure you check out the Facebook pages of our shopping centres to find out the exact dates of the Marilou Design tour. We are thrilled to announce that Bamboo Underwear has chosen Cominar to meet its fans! Exclusively on December 20 and 21, the company’s four founders, including world-renowned influencer Élisabeth Rioux, will welcome their customers in their first-ever pop-up store at Place de la Cité. Bamboo Underwear is an underwear brand for men and women made using bamboo. Several high-profile influencers are associated with the brand thanks in part to the exceptional quality, comfort and softness of its underwear. 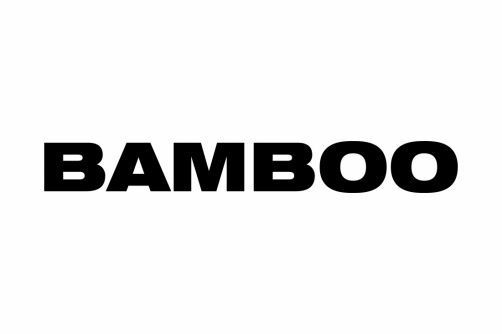 Bamboo Underwear is now part of a group of Québec-based companies, including Womance, AllCovered and Plantzy, that have entrusted Cominar with their pop-up stores in one of our shopping centres. We are thrilled and proud to announce the seven designers that have been selected to participate in the 2nd edition of the Fashion & Design Festival Pop-up Tour, which will be organized collaboration with the Montréal Fashion & Design Festival. Kanevas. Along with hese first five companies, Kemmi Collection and Gipsea Bags, which both won the hearts of many when they won the Pop-up Coup de Coeur Contest, will also be featured. Nearly 1500 festival-goers participated in FMD 2018. 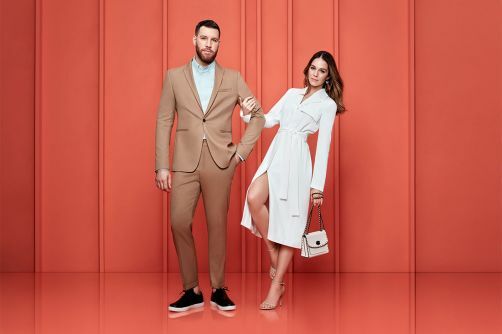 The Fashion & Design Festival Pop-up Tour’s goal is to give up-and-coming retailers the opportunity to showcase their products in several of Cominar’s shopping centres across the province of Québec thanks to pop-up stores. Over the course of the next year, Cominar will create unique window displays for each business in its shopping centers. 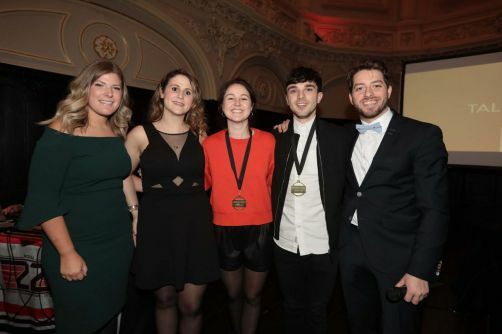 By doing so, Cominar is offering an exceptional means to raise brand awareness of these great Québec designers and create closer ties between emerging companies and the general public. The winners will benefit from support from Cominar’s team throughout the entire Fashion & Design Festival Pop-up Tour. 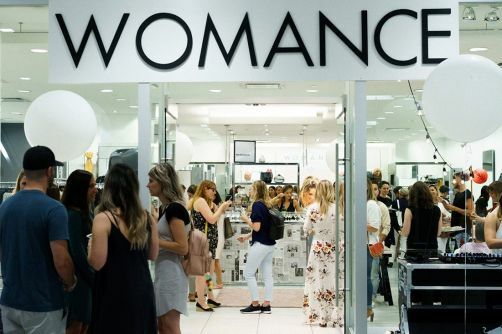 They will also participate in a mentoring sessions with entrepreneur Andréanne Marquis, who achieved amazing success her store, Womance, in all four corners of Québec. Cominar Unveils its New Kiosk! 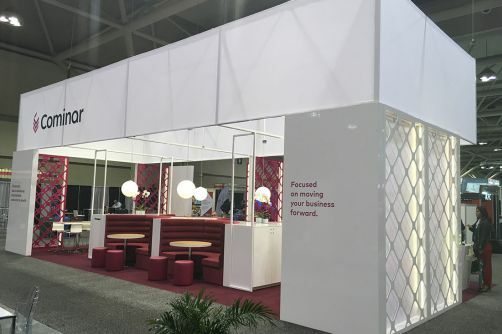 From October 1 to 3, we participated in the International Council of Shopping Centers (ICSC) convention in Toronto and used this opportunity to test out our brand new kiosk! We were delighted to meet clients in this lounge-type atmosphere that is both welcoming and open, in the image of the new Cominar 2.0. The Central Station Complex launched its new website today and revealed its new signature and brand identity. The website will serve to promote this Cominar property as well as the overall offer in terms of transportation, food and other services. 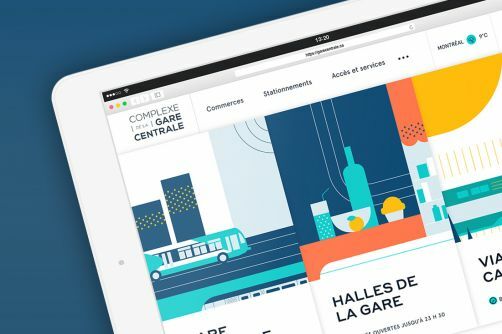 The Halles de la Gare’s shops and restaurants and the Station's many transportation options (long-distance or commuter train, Metro and bus) will be promoted to facilitate customers’ daily activities. Discover the brand new website here. From August 22 to 25, Cominar participates in the Fashion and Design Festival by presenting the Pop Up Shop Village, a gathering of approximately forty boutiques and fashion trucks. 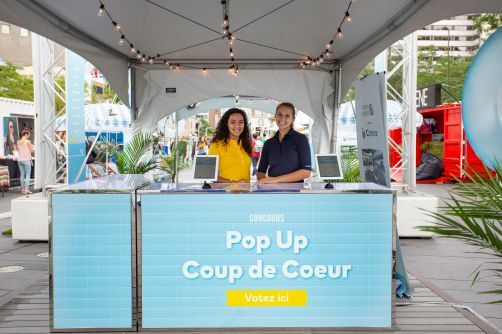 Festival-goers will be able to vote for their favorite shop as part of the Pop Up Coup de Cœur Contest. 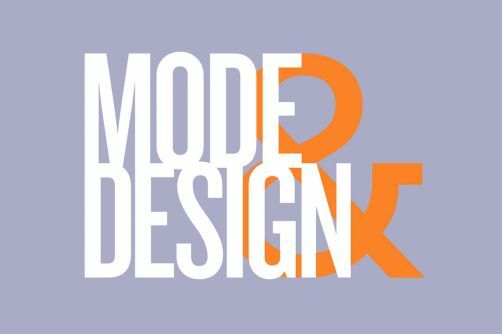 The public's choice will automatically recieve a spot in the Tournée Éphémère FMD. 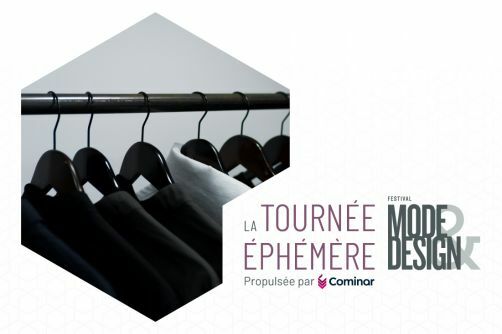 Furthermore, a mystery jury established by Cominar will select the other stores that will be part of the Tournée. The winners will thus benefit from an incredible platform by taking part in this shop that will visit four of Cominar's shopping centres. This will be a second edition for the Tournée Éphémère FMD after a great success last year. 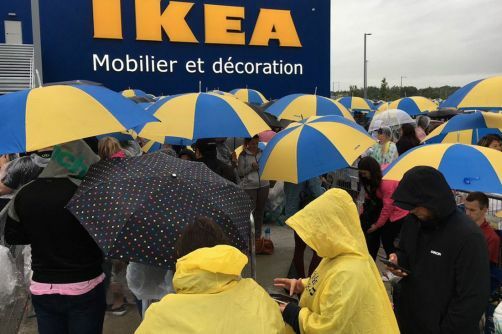 More than 3 000 people attended IKEA’s much-awaited opening in Quebec City’s new Ilot Mendel development on August 22. Gift cards and other prizes were given to some lucky clients, many of whom were waiting for at least a couple of hours in the queue surrounding the 340 000 square-foot store. This new store remains faithful to the brand’s concept, with more than 10 000 Scandinavian-inspired articles, a restaurant and a children’s play area. By 2021, approximately thirty retailers should settle in the Ilot Mendel commercial hub, which will combine innovation, art and architecture. La Voie Maltée officially opened on July 12 at Place de la Cité. 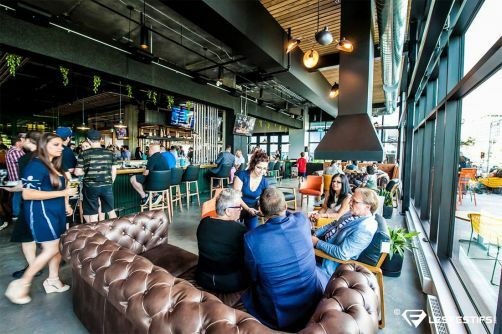 Offering more than a dozen beer varieties as well as beer-based cuisine, Place de la Cité’s branch will mainly focus on happy hour with its 250-seat restaurant, including a large terrace facing Laurier Boulevard. This is the fourth branch of the Saguenay-based microbrewery, which already has locations in Quebec, Jonquière and Chicoutimi. 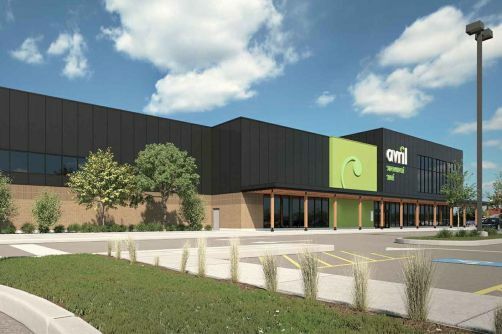 Avril Supermarché Santé, an independent Québec-based chain of specialty grocery stores, will be opening on June 7 at Centre Laval, allowing local workers, students and residents to enjoy a wide array of affordable health food options. Avril Supermarché Santé will include a 178-seat bistro including a terrace, a café, juice and smoothie bar, and a raw food and vegan counter. 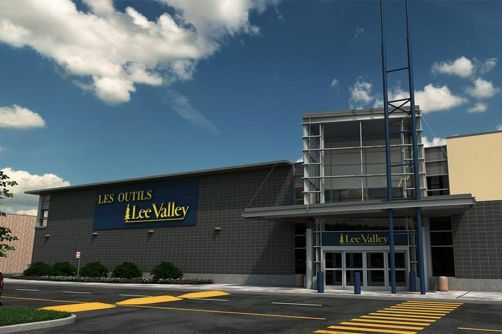 The Centre Laval location spans over 44 000 square feet and will be the largest retailer of health food and natural products on Montreal’s North Shore. 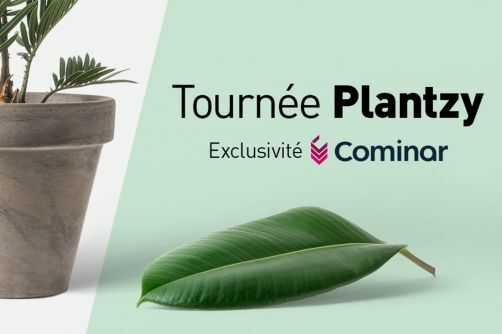 Cominar Announces the Plantzy Tour! It is now Plantzy’s turn to participate in an exclusive tour of our shopping centres all year long! Sylvain Cossette, President and CEO of Cominar, has a unique mission for the company: to innovate, get things moving, improve employee engagement and create a healthy, energizing workplace. Profiled in the recent edition of Immobilier Commercial magazine, Mr. Cossette unveiled new offices in Montreal, which were designed to foster collaboration and contact with colleagues. With an open-plan concept, varied common areas, refreshing new colours, and stunning windows and lighting, these offices will inspire employees and unleash their creativity. Cominar hopes to lead by example and show its clients they can build better work environments for their personnel. Cominar's Ilot Mendel project was unveiled today. 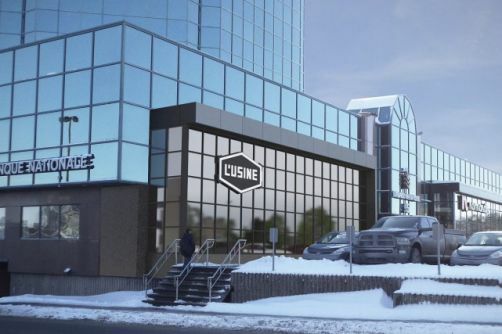 This new commercial and eco-friendly hub will be located in Quebec City's Duplessis sector. 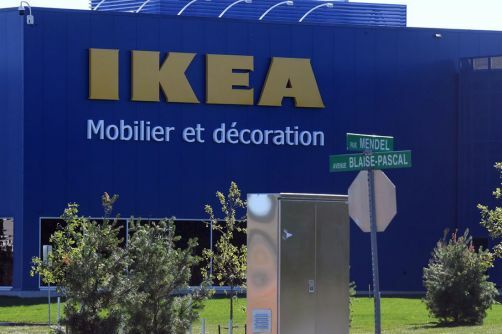 Two major players have already confirmed their presence: Swedish giant IKEA and French sporting goods company Decathlon. The entire project will be revealed shortly, including a number of environmental initiatives. Find out more in Le Soleil's article (French only). 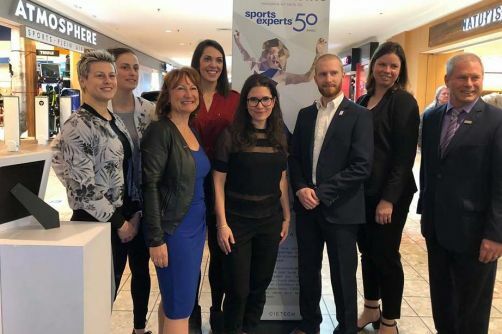 From April 6 to April 29, Galeries Rive Nord, a CIETECH Smart Retail and Experiential Technologies Innovation Hub partner, collaborated with companies Stefanka, MOOV Activewear and Sports Experts to offer clients an interactive shopping experience. During the event, Sports Experts clients could experience a unique shopping trip thanks to a new technology that allowed them to identify the ideal sizing of certain clothes without having to try them on. The tool will be available on MOOV Activewear’s online store this summer. Cominar received five nominations for the prestigious ICSC Visual Victories Awards, a visual merchandizing competition that recognizes the outstanding visual presentations of cart, kiosk, and temporary in-line retailers. 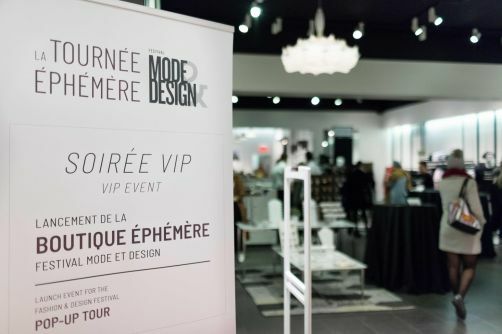 Pop-up shops Kanevas (Place de la Cité), Literie Fine Bigarade (Mail Champlain) and Tournée Éphémère Festival Mode & Design (Rockland) were all nominated in the "Most Creative Pop-Up Store Design" category. 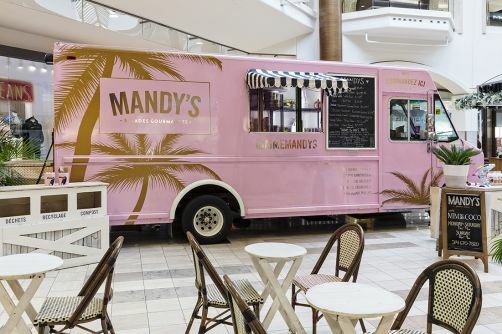 Mandy’s food truck (Rockland) was also nominated in the "Most Creative Promotional Cart or Kiosk" category. Maison Elama (Rockland) received a nomination in the "Most Creative Temporary Store" category. Winners will be announced during the awards ceremony, which will be held in Las Vegas on May 20, 2018 . 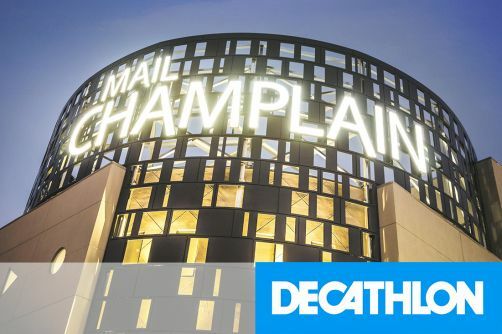 Cominar and Mail Champlain are proud to welcome the first Decathlon store in North America. The Quebec branch of the French chain will open this Saturday, April 21, and will reveal its innovative concept, which includes in-store testing stations as well as a free gym reserved for the sports community. The retailer will occupy an area of 60 000 sq. ft. in the shopping centre. For more information about Decathlon, click here. 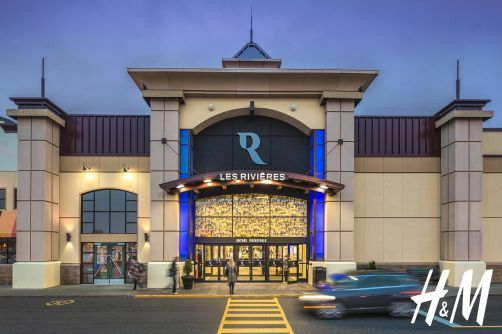 Les Rivières shopping centre’s restaurant offer is now better than ever with the arrival of Shaker Kitchen & Mixologie, an already well-established player in Quebec City. The restaurant, located in Sports Experts’ former store, includes a 54-seat central bar as well as three private lounges. It also has an 80-seat terrace. The Trois-Rivières branch is the 9th of the franchise, which has plans for even more locations in the future. 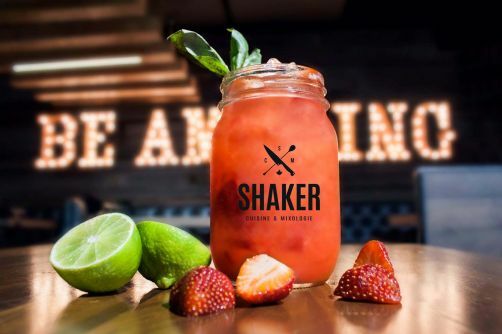 Learn more about Shaker Kitchen & Mixologie. On March 9, Cominar participated in the 22nd edition of the Jeux de la communication as a partner of the Digital Strategy challenge. Representatives from the communications and marketing department judged the eight teams from different universities on their presentation of an innovative digital strategy applicable to a shopping centre environment. Our sincerest congratulations to all participating teams and especially to the delegation from Université du Québec à Montréal, who came out victorious! For more information about the Jeux de la communication, click here (in French only). On March 8, Cominar announced its results for the fourth quarter and fiscal 2017, as well as introducing its transformational "Cominar 2.0" strategy. According to Sylvain Cossette, President and Chief Executive Officer of Cominar, balance sheet stabilization, refocussing on core Quebec markets and governance are key drivers in this initial transformational phase. 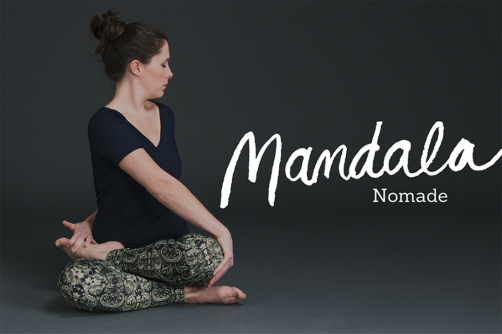 Learn more about "Cominar 2.0"
Cominar is pleased to announce that Mandala Wear will be organizing an exclusive Mandala Nomad Tour in Cominar's shopping centres all year long. "Pop-up boutiques allow us to create major events in places where people gather together, such as shopping centres. Thanks to our partnership with Cominar, we are proud to present our first tour across Quebec." said Maryse Gagnon, Mandala Wear's Co-owner. The tour will kick off in Quebec City at Place de la Cité in March. It will then travel to Les Rivières, Galeries Rive Nord, Galeries de Hull, Carrefour Rimouski, Centre Laval and Mail Champlain. Cominar is pleased to announce its participation in Hop! 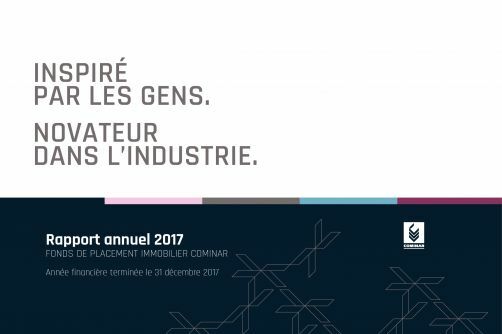 Le Sommet du commerce de détail 2018, which will be held on March 20 and 21 at the Palais des congrès de Montréal. Guy Charron, Executive Vice President, Operations – Retail, will be part of the panel of experts who will answer the question: what will make up the shopping centre of 2028? Hop! is the most important annual event in the Quebec retail sector and brings together 1,300 participants, 70 speakers, 85 exhibitors and hundreds of retailers from across the province. For more information or to purchase tickets, click here (in French only). Cominar is proud to announce an investment of over 10 million dollars to revitalize Rockland Centre’s food court, which will welcome a unique concept inspired by the latest trends in design and food service starting next fall. 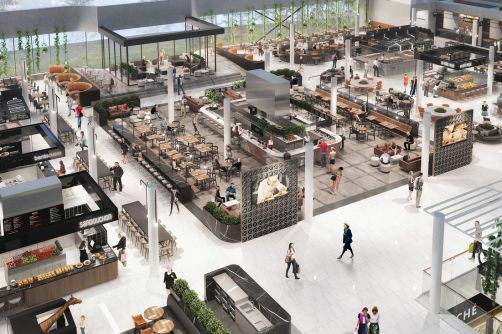 The new food court will host culinary demonstrations where professional chefs will present unique gastronomic events. A wide selection of food trucks will set up for periods of three months, whereas a central bar will offer a fresh visual and tasting experience. 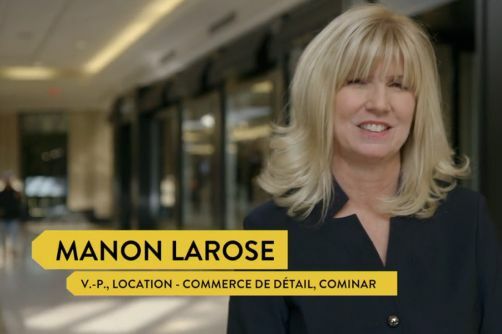 Cominar was recently invited to share its vision on the future of shopping centres during a report broadcast for the TV show Ça vaut le coût on Télé-Québec. 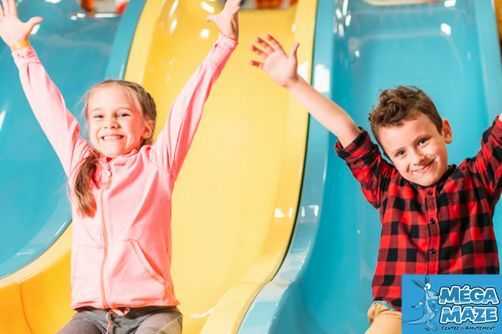 Manon Larose, Vice President, Leasing – Retail, chatted with reporter Myriam Fehmiu about the renewed offer and the experience proposed by shopping centres. To view the TV report (in French only), click here. The furniture and decoration store L’USINE officially opened on January 23 at Place de la Cité, in Flash bistro’s former premises. 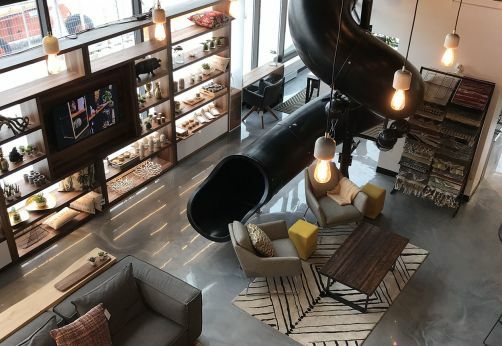 Keeping with the company’s concept, the boutique presents a unique and wild design with a store on two floors connected by a huge slide. The large bar found in the former Flash bistro was also preserved to add a touch of warmth to the decor. This is a second branch location for the Quebec-based company, which specializes in manufacturing custom furniture. Starting today and over the next few months, the Fashion & Design Festival Pop-Up Tour will travel to the cities of Montreal, Trois-Rivières and Quebec to allow five winners of a contest held during the 17th edition of the Fashion & Design Festival to showcase their achievements. 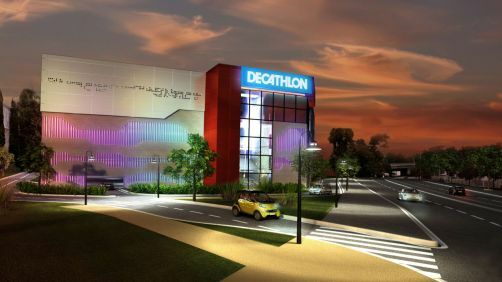 The French sporting goods retail chain Decathlon will open in the Cominar’s new commercial area, near of the future IKEA store. It will be the second point of sale in the province of Quebec for the French giant, which will open its store at the end of the summer 2019. The first store, located at Mail Champlain, will begin its activities at the beginning of spring 2018. It will be the first store of the chain on North American soil. Successful chef Ricardo Larrivée begins the roll-out of his innovative café-boutique concept by adding a second store, this time at Centropolis in Laval. 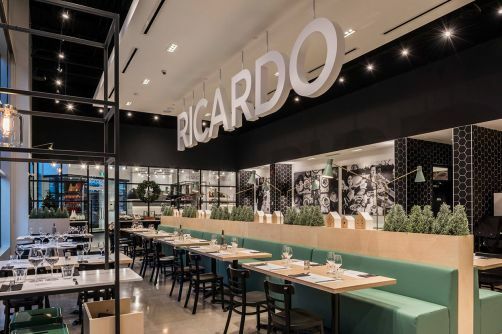 Espace Ricardo, which occupies an area of almost 9,500 square feet, has 80 seats on the coffee side, allowing customers to come and enjoy various meals, all of which can be found in its magazine and on its website. Mandy’s Gourmet Salads’ food truck is newly installed right in Rockland’s Central Court. Rockland innovates by becoming the first shopping centre to welcome a real food truck. This is also a first for Mandy’s restaurant, which has five locations in Montreal and whose ʺCreate your own saladʺ concept is already attracting a large customer base. This December, Mandy’s will also take part in La Forêt d’étoiles Cominar: for each salad of the month sold during the month of December, $1 will be donated to Opération Enfant Soleil, in collaboration with Rockland and Cominar. The 4th edition of the eCommerce-Quebec event, organized by the Conseil québécois du commerce de détail (CQCD), took place on October 4 and 5. 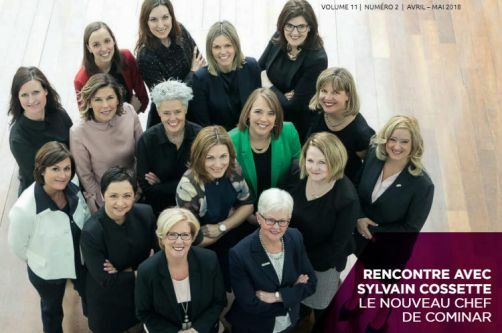 The organization took the opportunity to highlight the engaging marketing initiatives of six Quebec companies, including Womance. 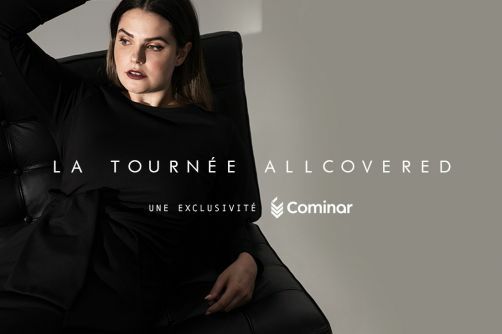 The young company, founded by Andréanne Marquis, was recognized for its Web strategies and its tour of Cominar’s shopping centres across Quebec, which helped Womance to substantially increase its notoriety and its online store's visibility. The tour is still underway and will conclude in spring 2018. 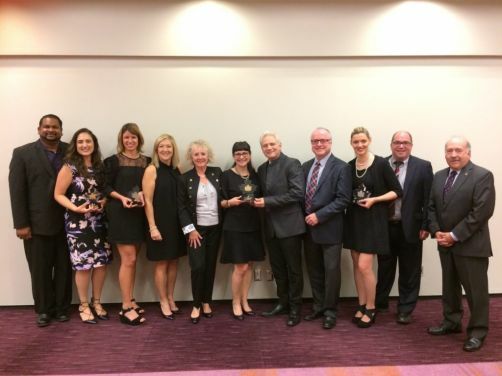 On October 4 was held the highly anticipated Canadian Shopping Centre Awards ceremony during which the International Council of Shopping Centres (ICSC) rewarded the industry’s best and brightest. Four of our nine finalists had the honour of being presented with a Maple Leaf Award. 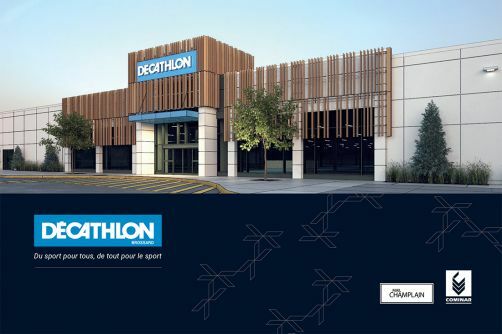 Mail Champlain is very proud to announce the upcoming arrival of the French sporting goods retail chain Decathlon, which will open in the spring of 2018. It is going to be its first Canadian store, also the first in North America. The company was born in France in 1976 and has more than 1 100 stores in 28 countries, with more than 78 000 employees. 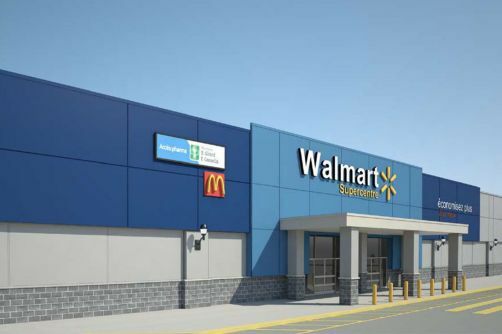 This retailer will occupy an area between 35 000 sq. ft. and 45 000 sq. ft. in the shopping centre. Coco Rocha is one of Rockland's creative collaborator. She is an international model and fashion maven. "Canadian model Coco Rocha joins Global’s Laura Casella to talk about her new look, life as a mom, and her career as a top model." (Global News). L’Usine, an extremely successful custom furniture store with great decor finds, will open a second store in Quebec, near the bridges in Place de la Cité. The changes and improvements made to the premises will create an atmosphere of proximity with the customers, while being at the cutting edge of technology. The store is expected to open next October. Womance sort du web! The online store specializes in made-in-Quebec designer fashions and accessories. The one-year tour will be coming to Place de la Cité, Carrefour Rimouski, Alexis Nihon, Les Rivières, Galeries de Hull, Centre commercial Rivière-du-Loup, Mail Champlain, Place Bathurst Mall and Galeries Rive Nord. "We are daring to step outside the box and rethink the traditional owner-tenant relationship by putting additional emphasis on consumers and female entrepreneurs in our strategy," said Manon Larose, Vice President, Leasing-Retail. Les Rivières is proud to announce the upcoming opening of H&M, a Swedish fashion concept for men, women and children. The company, created in 1947, is now recognized worldwide. 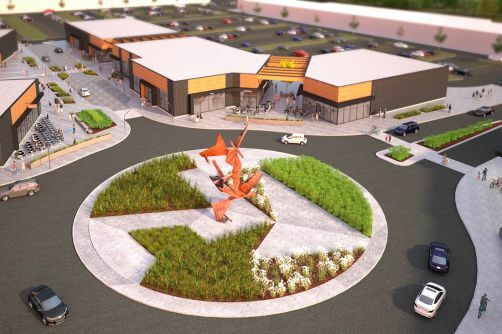 This retailer will occupy an area of ​​more than 24,000 sq. ft. in the shopping centre and the store is expected to open in fall 2017.